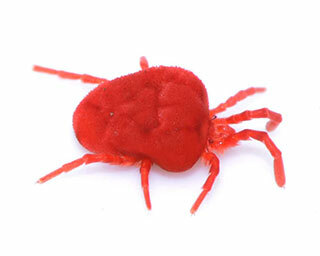 Clover mites feed on grasses, clovers, and certain other plants in the lawn and around the home. They do not damage buildings and furnishings, nor do they injure humans and pets. They attack a number of grasses and plants found in yards and occasionally invade homes. Although vast numbers of them can enter homes, they will not reproduce under indoor conditions and will perish shortly of their own accord.